"...Most of the results in this book are not new. Instead the aim has been to use geometric (in place of the more traditional algebraic) methods in the constructions and proofs. This sheds new lights on the close connection between the three topics. The book is not self-contained. 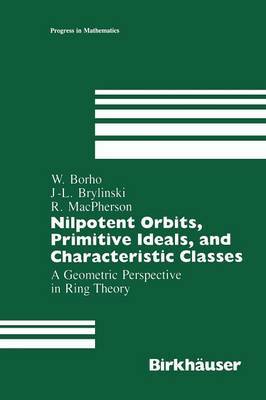 It relies heavily on previous work by the authors as well as on many basic facts both from algebraic groups, topology and representation theory. However, the authors have taken great care to make the book readable to people without complete background in these theories..."